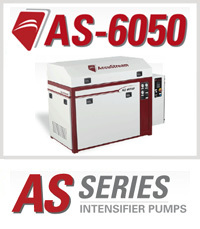 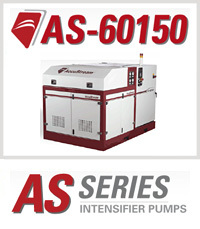 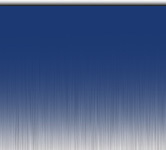 The fully featured AS-Series intensifier pumps are the most popular in the AccuStream family of pumps. 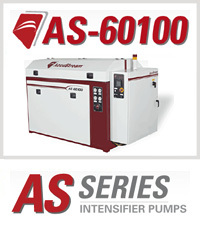 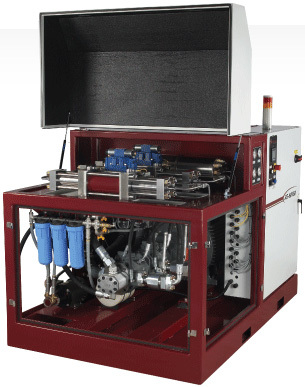 Recognized for cost-efficiency and unmatched reliability, the AS-Series have proven themselves many time over in a variety of industries and industrial fabrication applications. 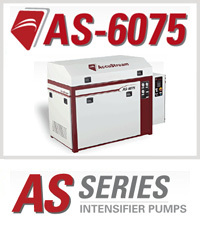 The Accustream touch screen control center provides easy - to - understand graphics that guide the operator through the necessary steps to operate and maintain any of the AS Series pumps.